An 8-sided die is an example of a octahedron. 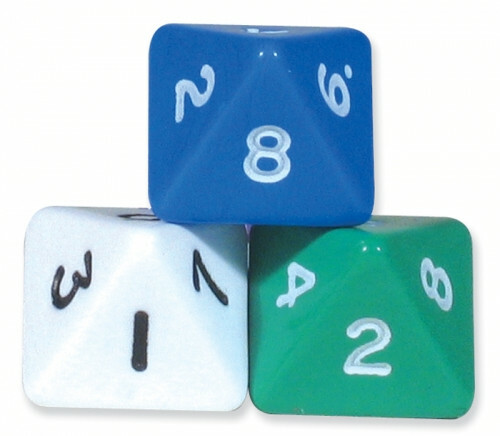 These 8-sided dice are 16mm and come in assorted colours in a set of 10 pieces. "Excellent resource for math games to cement math facts."